Claas is a german agricultural machinery manufacturer that has its roots in the production of milk centrifuges. Around 1900 Franz Claas sen. started the development and the production of hay balers. He developed his own machine based on british straw trusses. It was launched in 1907. In 1913 the company was officially founded. Since then, the company has been expanded continuously and the products have been constantly developed. Today, Claas offers a range of tractors, presses, mowers, farm loaders and combine harvesters, telescopic handlers and wheel loaders. The strategy, which has been based on innovation since the company was founded, is also reflected in the activities in various current fields of innovation. For example, digitization and farming 4.0 are of great importance to Claas. But even if the technical progress is rapidly, Claas claims that the benefits for the farmers will always have priority. Claas regularly draws attention. For example, with an record attempt that was started on July 1st. The aim was to achieve the highest possible mowing performance in eight hours. Claas mowed a total of 141.1 hectares with one of his mowers from the DISCO series, setting a new world record. The product group of the tractors found its entry into the assortment of Claas relatively late. 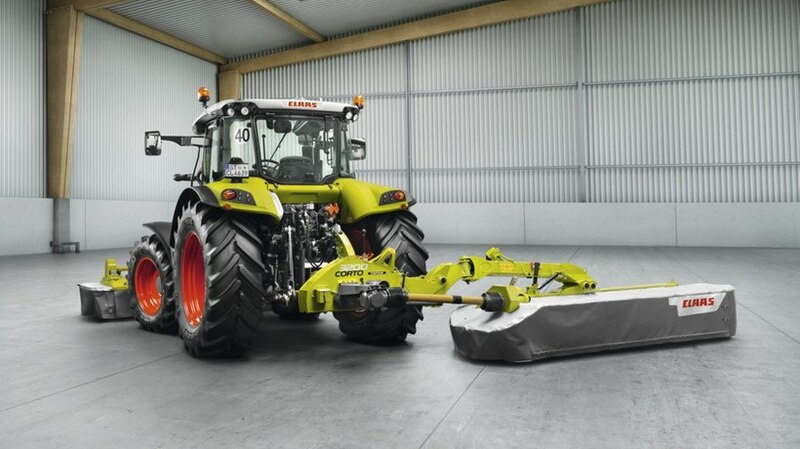 Although in the 1950s Claas launched the HUCKEPACK,which was a tool carrier that resembled a tractor, it was not until the late 1970s that the development of the XERION, which was first presented to the public in 1993, began.This made Claas' vision after a completely own tractor come true. With the takeover of Renaults tractor division in 2003, the range could be supplemented with standard tractors. Over the course of time, the rage has been expanded by further series and the technology of the tractors was updated and further developed. Thus, Claas has become one of the now most important tractor manufacturers in Europe. With around 50 different models ranging in power from 75 hp (NEXOS 200) to 530 hp (XERION 5000), a suitable tractor is available for every requirement. With the large XERION 4x4 series tractors, which are particularly suitable for tasks requiring a lot of power and traction, the standard tractors AXION, ATOS and ARION, as well as the compact and narrow gauge tractors ELIOS and NEXOS, which offer maneuverability and agility, every market segment is served. In this way, Claas is able to meet the diverse requirements of modern agriculture. The first combine harvester launched by Claas was the so-called Mäh-Dresch-Binder (MDB) from 1936. It was specially adapted to the European harvest conditions and created the basis of Claas' later combine harvester construction. In 1937, the MDB went into production. Until the production had to be stopped in 1943 due to the war, about 1,400 machines of this kind could be produced. Due to the limitations of the MDB, Claas started to develop the machine until finally in 1946 the production of the SUPER began. This series was produced until 1978. During this time, more than 65,000 machines of this type left the production halls of the headquarter in Harsewinkel. 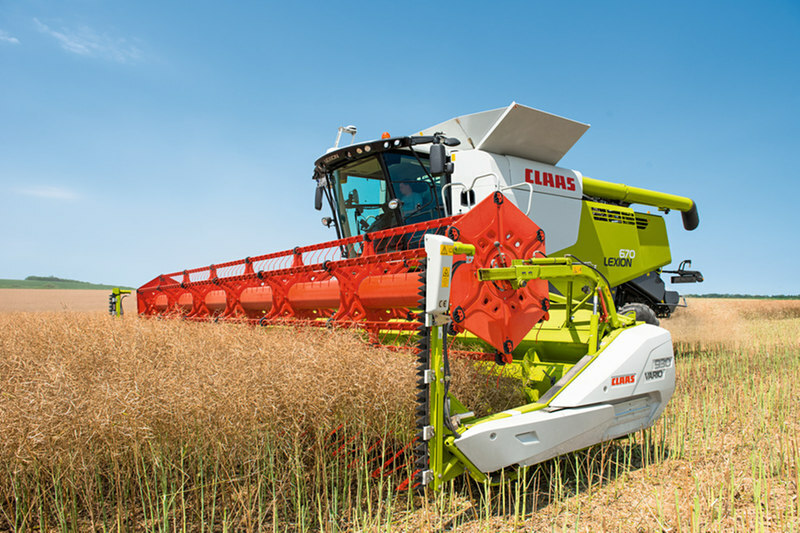 Over the years, Claas has continued to develop its combine harvester, securing a leadership position in the marketplace. In the meantime one can fall back on a multiplicity of models in the assortment. To the more recent series count among others the DOMINATOR, MEDION, TUCANO, AVERO and LEXION series. The latter has an engine output of 313 hp to 626 hp and reapers that measure up to 12.27 m. The top model in this series, the LEXION 780, is currently considered the most powerful combine harvester worldwide. The combine harvester of the AVERO series are the least powerful in Claas' current range. They have 158 - 205 hp and a maximum cutting of 5.56 m. In midfield, the TUCANO series is settled. In terms of performance, these Claas combines range from 204 hp in the TUCANO 320 to 381 in the TUCANO 580 and have a cutting unit measuring 4.32 - 9.22 m.
The first patent for Claas' own knotter apparatus was registered in 1921. The basic principle of this machine has remained unchanged to this day. The patent filed in 1923 for a knotter hook, which had a limited movable upper lip, based exactly on that principle. This increased the security while tying. With this technical innovation, Claas made sure that the binders of other manufacturers were also equipped with the knotter hook. Building on this success, the machines have been constantly developed. In the 60s Claas introduced the two series MEDIUM and MAXIMUM. These high-pressure presses made it possible to press 10 tons of straw or hay into firm bales. 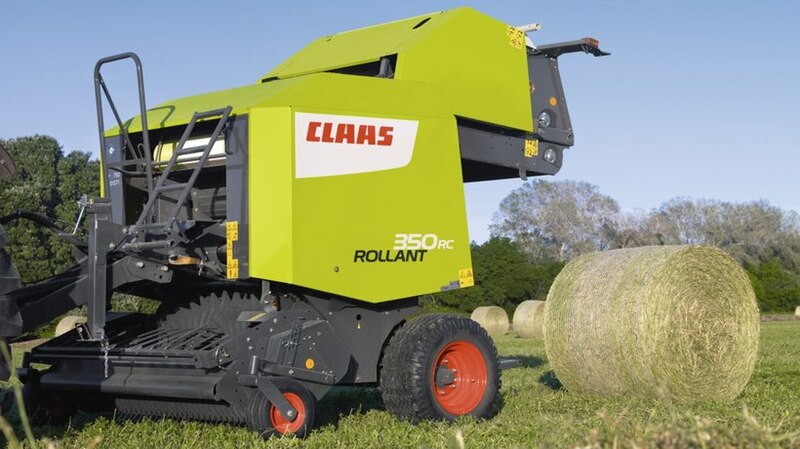 In 1976 Claas introduced the first round baler under the name ROLLANT. This press quickly became the market leader in Western Europe due to the new roll press system. The very first model was the ROLLANT 85, which pressed bales with a width of 1.50 m and a diameter of 1.80 m. It was followed by the ROLLANT 34, 44 and 62, which had a bale width of 1.20 m and diameters between 0.90 m and 1.60 m. The ROLLANT series is built to this day. In addition, the VARIANT models now supplement the range of Claas round balers. Depending on the model variant, these have bale dimensions of 1.20 m x 0.90 m to 1.20 m x 1.80 m.
Until Claas launched the first self-propelled forage harvester in 1973, these agricultural machines werel pulled by tractors. The self-propelled shredder was called JAGUAR 60 SF. Due to its 120 hp it could provide a significantly higher harvest performance compared to its pulled predecessor. In the following year, the JAGUAR series was supplemented by other models. In the 80s, the JAGUAR 690, 682 and 675 models were included into the program. The latest Claas forage harvesters are part of the new 900 series from 2017, which is sold at the same time as the 800 series. In addition to a new suspension concept, a continuously variable attachment drive and the CLAAS AUTO FILL system, the crop flow system has also been further optimized. The engine power of the 900 series ranges from 462 hp in the JAGUAR 930 up to 884 hp in the JAGUAR 980. The 800 series is equipped with engines from Mercedes-Benz, whose power ranges from 408 hp in the JAGUAR 840 to 585 hp in the JAGUAR 870. In order to enable more soil-friendly work Claas developed the JAGUAR TERRA TRAC. This one is equipped with a patented kinematics, which ensures a high soil protection. The system offers many advantages. Among other things, the large footprint with StVZO compliant working width, lower fuel consumption, more slope stability and improved comfort both on the field and on the road. 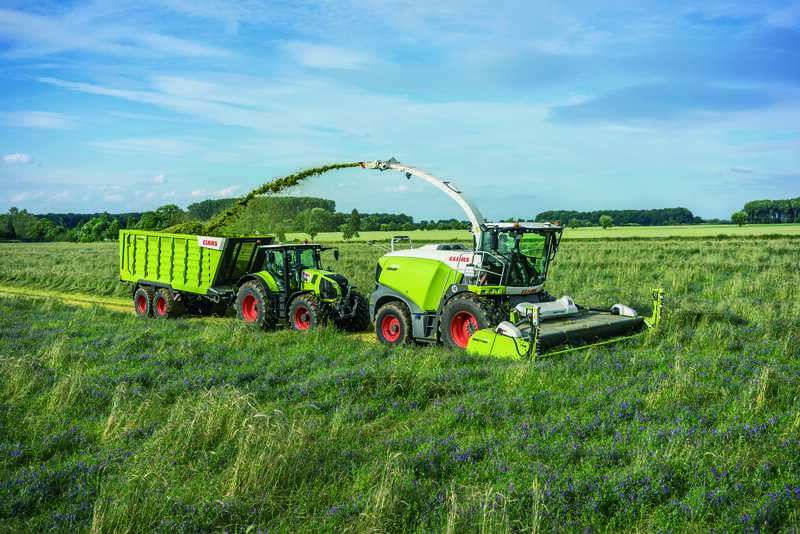 Among other things, Claas offers its own mowers for forage harvesting. There are two different kinds of models. The DISCO and the CORTO models. Disc mower run under the name DISCO and drum mowers under the name CORTO. The DISCO mowers are available in different variations. There are front, rear and side mounted mowers. But also large-area mowers and trailed mowers are present in the portfolio of Claas' DISCO series. The PROFIL kinematics makes it possible to adapt the cutter bar to the ground contours, regardless of the position of the tractor. This ensures less wear and therefore less costs for the user. With working widths of 2.10 m to 10.70 m, Claas is able to offer the customer the right device, depending on his requirements. The drum mower, on the other hand, offer a working width of 1.85 m in the CORTO 190 up to 3.05 m in the CORTO 3200 or CORTO 310 F. The smaller models have two mowing drums, which are each equipped with three or four knives. The larger models with four mowing drums have three knives per drum. In order to respond well to the needs of the customers, the mowers from Claas can also be combined as desired. For example, the user has the option of using a CORTO mower at the front and, at the same time, a large-area mower of the DISCO series at the rear of his tractor. Since 1970, Claas has been producing the harvesters of its DOMINATOR series. The first model was the DOMINATOR 80. This and its successor the DOMINATOR 100 form the original series. The DOMINATOR 80 initially had 105 hp. Later, the diesel engine from Perkins was replaced by Mercedes-Benz engine. Thus the DOMINATOR 80 was available with 120 or 140 hp. The cutting unit of this combine harvester had a width of 4.80 meters. Furthermore, the DOMINATOR 80 was equipped with a grain tank, which took 3,400 liters. The DOMINATOR 100 even had a 5,500 l grain tank. The original series was replaced by the two DOMINATOR models 85 and 105 in 1974. These two formed the 5 series and had a maximum engine output of 120 and 175 hp. In working position, the DOMINATOR 85 had a length of 9.60 m and a height of 3.61 m. The width was, depending on the position of the outer deflector, at about 5.60 m. With the standard equipment, this combine harvester brought about 7,080 kg on the scales. The DOMINATOR 85 als had a 4,000 liter grain tank that could be emptied within 90 seconds. The larger model, the DOMINATOR 105, had a length of 10,30 m, a width of 3,0 m and a height of 3,78 m. Without cabin the total weight was around 8,810 kg. The DOMINATOR 105 was built until 1979. However, the last DOMINATOR 85 left the production facilities in 1980. In 1978, Claas started to buidl the 6 series of his combine harvesters. The DOMINATORS 56,66,76,86,96 and 106 had installed a 6-cylinder diesel engine, making between 85 hp and 200 hp. This allowed the combine harvester to be accelerated up to 20 km/h. The DOMINATOR 96 and the DOMINATOR 106 were the top models of the Claas comfort class. They were equipped with a centralized information system that allowed the most important information to be captured at a glance. In addition, Claas took care to ensure that the most important components were easily accessible for maintenance purposes, for example. Both models were equipped with an ergonomically designed driver´s cab and thus had a total height of 3.73 m and a length of 7.76 m anda 7.69 m, respectively. Without a cutting unit, both the DOMINATOR 96 and the DOMINATOR 106 were 3.0 m wide. On request, cutting units for the two combine harvesters with a width of upt to 5.70 m could be supplied as an option on the DOMINATOR 106 and 5.1 m on the DOMINATOR 96. The smallest model of the 6 series, the DOMINATOR 56, had a grain tank with a capacity of 2,500 liters. The grain tank of the DOMINATOR 106, the top model, contained a total of 7,500 liters. In 1981, the construction of the first generation of Claas' Series 8 combine harvesters began. Among them were the types DOMINATOR 38, 48, 58, 68, 78 S, 88 S, 88 SL, 98 S, 98 SL, 108 S and 108 SL, which had up to 221 hp. The second generation of the 8 series was built from 1987 to 2004. It included the models DOMINATOR 38 S, 48 S, 58 S, 68 S, 78 S/SL, 88 S/SL, 98 S/SL and 108 S/SL Maxi. The S-models are available in the Classic version. The SL-models in the Maxi version as well. The performance of the 8 series harvesters ranges from 75 hp (DOMINATOR 38 S) to 260 hp (DOMINATOR 108 SL Maxi). The large DOMINATOR 108 models had a grain tank volume of 7,500 l. The first combine harvesters of the first generation were built until 1987. Models whose production came later were mostly built until 1990. the second generation started right after. The last models of Claas' series 8 combine harvesters were built up to 2004. Between 1998 and 2002, the second generation was supplemented with the VX models. These were four other models from the DOMINATOR family, the DOMINATOR 88/98/108 and 128 VX with 159 hp, 179 hp, 221 hp and 262 hp. The DOMINATOR 128 VX was the largest of these four. It had a grain tank volume of 8,000 liters and was built until 2002. The production of the other VX models was discontinued in 2000. In addition to the regular DOMINATOR models, which were equipped with shakers, Claas also offered model variants, in which the shaker were replaced by a “Cylinder System” (CS). In this case, eight separation cylinders were used. This is intended to increase the efficiency of the large combine harvesters. The system was installed in the DOMINATOR 116 CS first. The threshing drum of the “normal” DOMINATOR 16 remained unchanged. The eight deposition cylinders with underlying separation baskets were attached behind these drum. Depending on the crop, the speed of the cylinder and the distance of the separation baskets between each other could be set individually. To distinguish the machines with the Cylinder System immediately from those with shakers, the CS models were renamed in 1986 by DOMINATOR to COMMANDOR. In 1990 even a world record was set up using a Claas COMMANDOR. Within eight hours 358 tons of wheat were harvested. But even if the performance of the CS models speaks for itself, the system could not really prevail on the market. This was partly because of the high production costs for the system. Finally, the combine harvester of the Claas COMMANDOR series were built only until 1995. The current XERION 5000, 4500 and 4000 tractor models are powered by a Mercedes-Benz engine that delivers 530, 490 or 435 hp depending on the model. This allows the tractors to reach speed up to 50 km/h on the road and 30 km/h in the field. with the built-in CMATIC transmission, these Claas tractors have permanent four-wheel drive. The differential lock, which allows 100% locking of the driven steering axle, also provides more control in difficult conditions. Facilitated operation of all function switches is achieved by attaching them directly to the armrest and marking them with self-explanatory symbols. The armrest in the XERION can be individually adapted to the driver. Two levers allow the console to be moved horizontally and vertically. According to Claas, the maintenance of the new XERION tractors does not take much time. For example, the specified maintenance interval for transmission, hydraulic and axle oils is 1500 h. In addition, maintenance work, among other things, due to the easily accessible engine, can be carried out without great effort. The one-piece bonnet of the XERION ensures that corresponding maintenance points can be reached easily. 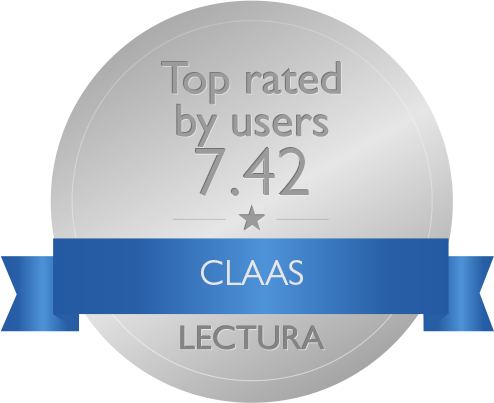 According to their own statements, Claas addresses each customer individually in order to offer a tailor-made solution. Forage harvesting involves various tasks. For this reason, Class offers different machines and model series. For the transport of the harvest ones cares for example with the trailors of the CARGO series. These are the latest loading wagons from Claas and have their origins in the Bautz AUTONOM that was developed in 1965. For the CARGOS models, the user has the choice between the CARGOS 760-740 chaff transport vehicle and the CARGOS 8500-8300 or CARGOS 9600-9400 combi vehicle. Each one of these seems to be able to convince customers, according to practice reports published on the Claas website. The CARGOS 759, for example, is therefore particularly suitable for forestry work or comparable tasks. With a hydraulically suspended chassis and low center of gravity, it is possible to negotiate distances even in difficult conditions such as ice, mud and hillside conditions. The users also like the unloading times. In the case of the CARGOS 750, the fully loaded wagon, which holds 42.5 m³ without a side wall attachment, can be unloaded in less than a minute. The loading volume starts at 30 m³ (CARGOS 8300) and, depending on the model, increases up to 95 m³ (CARGOS 9600) or 100 m³ when using a side wall attachment. According to Claas, it´s very easy to mount or retrofit the side wall attachments. Another aspect that is appreciated by the customers is the quality of the cut that can be achieved even with difficult clippings such as field grass. According to Claas, the EFFICIENT FEEDING SYSTEM (EFS) used in the combi wagons also ensures a feed-conserving harvest and lower fuel consumption. This results from the interaction of the individual components of the system. Pickup, rotor. cutting mill, etc. are coordinated so that the desired results are achieved. For easier maintenance and cleaning, the user has the option of disassembling the entire cutting and loading unit in about 20 minutes. Claas wheel loaders are currently available in the TORION series. The two models 639 and 535 are equipped with a Yanmar 4TNV98C and thus have a maximum engine power of 86 hp and 63 hp. They form the small series of yard loaders. They have a deep windscreen and a curved rear window. In addition, the spars of the B-pillar were moved slightly forward. This ensures an unrestricted all-round view and thus an overall improved overview. Another series of the Claas TORION yard loader is the SINUS series. It includes three models. The 537 and 644 SINUS with 73 hp and the 956 SINUS with 106 hp. 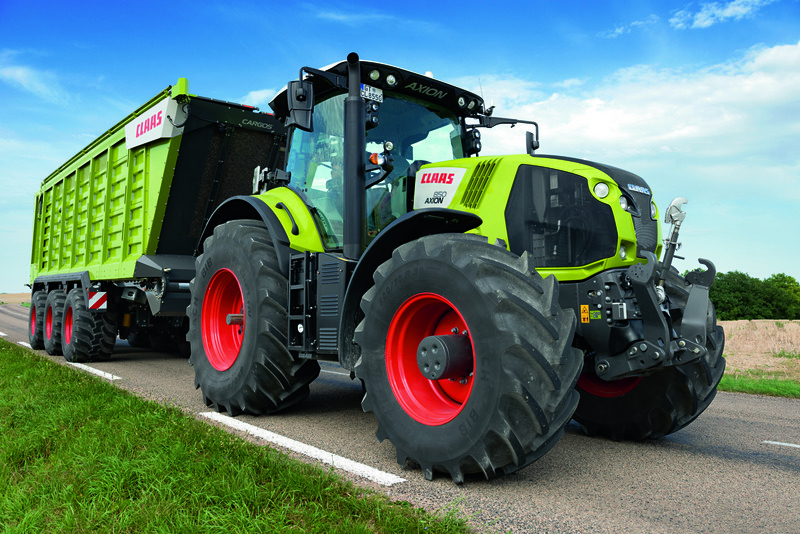 According to Claas, these models offer the customer an optimal maneuverability by a new chassis with steered rear axle. Furthermore, Claas specifies a loading height of up to 3.70 m and promises maximum stability against stalling resulting in a higher payload.